For all of you who haven’t had the pleasure yet, but want to be prepared, so they can create their guild crest as fast as possible, once they get access, here is a little overview regarding the different styles and customization options. 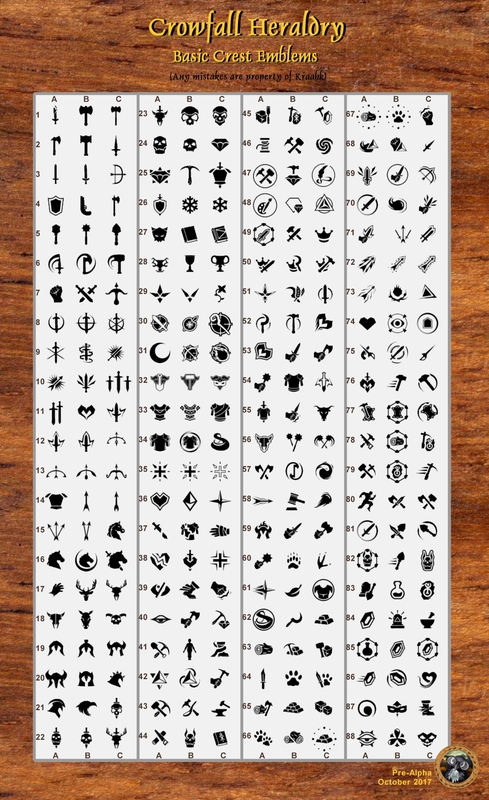 The Crowfall Heraldry currently includes 264 basic emblems. It’s a bit laborious to scroll through all of them in their tiny rows, so here is the full list in one picture. For your convinience i also added row and column numbers, so you can easily doublecheck with your guildies which symbols they like most (So, you like the one with the blade? Great. 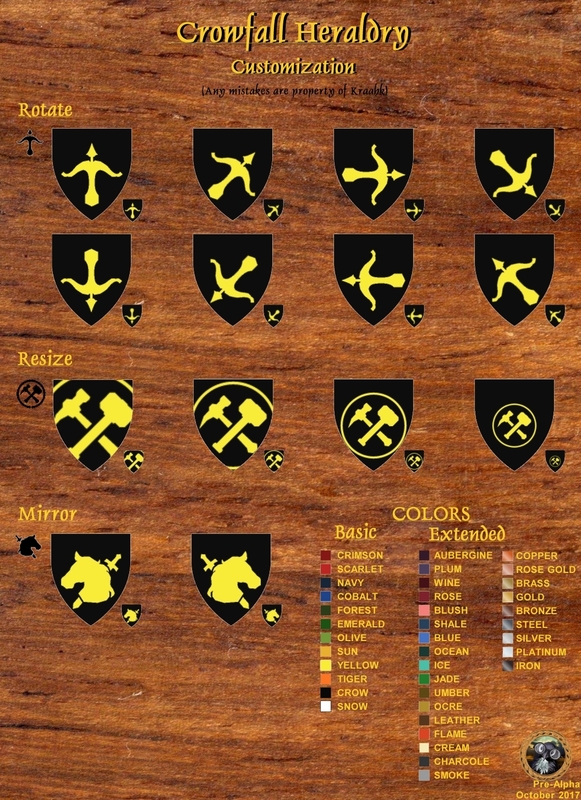 And WHICH ONE of the 38 emblems with a blade?!!). If you have access to the “Guild Crest Extended Symbols” you can also use one of the currently available 15 extended emblems. There will be more later and you will be able to choose a new emblem, once they are online – if you own this backer reward. All emblems can be modified in several ways. You can resize them (XL, L, M, S), mirror them and rotate them in 45° steps. 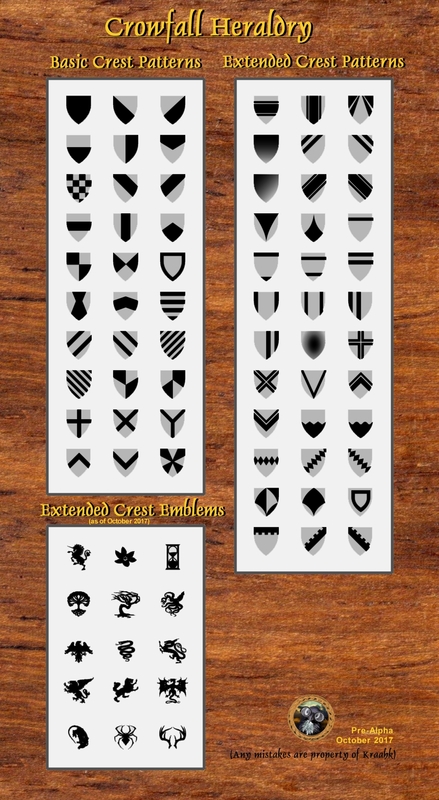 If i did my math right, that makes roughly about 65 billion different possible crests. So, hurry up to get yours … before it is taken.